Here is a flash about something very important for BricsCAD users. If you use McAfee Anti-virus, this post is all the more relevant for you. We have received multiple reports and noticed ourselves as well that the BricsCAD / BricsCAD BIM / BricsCAD Shape DLL (dynamic link library) named "RLM1222.DLL" is being flagged and quarantined by the latest version of McAfee Antivirus. This can occur during a new installation on a computer where McAfee Antivirus is running, or when McAfee Antivirus scans a machine with an active installation of BricsCAD. Since the license manager DLL gets quarantined, BricsCAD cannot find it and an attempt to start BricsCAD ends up with a terse message "Cannot local license manager". And BricsCAD just does not start. The DLL in question is a part of the Reprise License Manager installation. The DLL holds our public crypto key and is responsible for initiating communications with the license server during the product authorization process. While this process is assuredly benign, the recent occurence of this behaviour appears to coincide with a recent McAfee antivirus definition update. As best as we can determine, a string or series of strings in the DLL may align with a recent addition to these antivirus definitions. We wish to assure our users that Bricsys is actively working with McAfee on this issue to resolve and white-list the file. We do not have a time frame for resolution today - therefore, there is a work-around. If BricsCAD is already installed when the McAfee software scans the PC, it will likely quarantine the DLL. To repair: go to the quarantined items folder, find this file and restore it. Then, go to the McAfee Real-Time Scanning configuration page and add the filename "RLM1222.DLL" to the excluded file list (a.k.a. the "white-list"). This manual step is something that you need to do it now, and in future, McAfee would add it to the white-list themselves. If BricsCAD is being installed on a PC while McAfee is running, the DLL will likely be deleted, halting the BricsCAD installation. In this case, the user should disable McAfee first, then re-install BricsCAD, BricsCAD BIM or BricsCAD Shape. DesignSense is here to help and support you in case you face this problem in your installation. Every year, during the life-cycle of the major numbered version, Bricsys release a two or three major updates that introduce new features and delivers on the promise Bricsys would have made during the preceding annual conference in October. And today is the day we celebrate the release of BricsCAD V 18.2, the first major release in this life-cycle that packs in a long laundry list of new items added and existing ones improved. If there is one way to describe this new release, it is one that fired on all cylinders!! Lisp goes Visual: The BLADE command opens up a new API environment: As a Lisp developer myself, I must give this prime space. The brain-child of Torsten Moses, BricsCAD finally has an ultra-modern IDE for writing, debugging and compiling Lisp & DCL code. Lisp is the most common and widely used customization platform for AutoCAD and BricsCAD but, in AutoCAD, it never received the importance it deserved. Lisp has grown from strength to strength in BricsCAD. In V 18.2, there is brand new built-from-ground-up integrated development environment called the BLADE (BricsCAD Lisp Advanced Development Environment) that offers stiff competition to VLIDE from AutoCAD. More about the BLADE IDE in another blog post, but this is a complete debugger and development platform for writing Lisp code. Other than AutoCAD, BricsCAD now becomes the first other .dwg platform that offers a complete dedicated editor for Lisp developers. Indeed, this is a great achievement and boosts the morale of a large number of Lisp programmers who had to depend on the humble text editor to write their code. BricsCAD BLADE editor combines the ability to error-check LSP and DCL code, step through them during execution and watch the variables through breakpoints and also compile them into an encrypted format called the .DES format (equivalent of AutCAD's FAS or VLX formats).The DESCODER utility which was available as a stand-alone tool is now integrated inside the BLADE editor. CENTERLINE creates a center line. This is a basic drafting feature added, and it is applies to the Classic version too. Gujarati Text (VAKIL font) from a drawing is now being edited "In-Place"
No one knows the importance of this command more than the one who uses non-English fonts and the one that does only text editing for a majority part of the day (drawing conversion and editing companies). This was one of the key requirements from one of our users and I am happy to see that it is now implemented. "Serious geek-ism here: in V18.2, we've implemented a multi-resolution, persistent image cache to display attached Pdf underlays. This cool bit of kit enables (very) fast Zoom and Pan operations. The highest cached resolution is 5000 x 5000 pixels, so when zooming in very close, the display of the Pdf underlay will become pixelated. But this unsightly situation doesn't need to trouble you - hit the cache limit and we can shift to a hybrid mode that regenerates the underlay image in real-time. The generation of the image cache may take a few seconds, once, from then on the performance gain is persistent. For weeks, months... you name it. The pdf cache is used for display only, so it does not influence snapping or printing." In simple words, if you are one of those who will bring up a 30MB image packed into a PDF and want to painstaking hunt for the feature you want to digitize, this cache improvement comes to your rescue. BIM commands are new because their user-base is small yet fast growing. A dedicated bunch of users are on an over-drive to take them to the next level. They are in a constant state of improvements. We see AI techniques in the code and user-taught & machine-learnt behavior making its appearance in V 18.2 of BricsCAD. There cannot be a BricsCAD update without huge improvements in API. In fact, Bricsys developers lay as much importance in improving the API as much as the UX. Once again, we see Lisp API getting a shot in its arm with a number of new features in the Sheet Metal API. I will cover more of the Lisp API for Sheet Metal and BIM in another post but I must make a mention of it here for the record. This is a great release. There are many more improvements that which may now be visible to casual users. Many new features are fixes to some of the daily grind issues, third-party software concerns and inter-operability features that are important to many. This is a secular release with something in it for all users, from 2D to 3D modeling to BIM and Sheet Metal. The Release Notes are long and I have written about stuff that I think are important and ones that I can relate to. By no means is that a statement that the other fixes are not important. 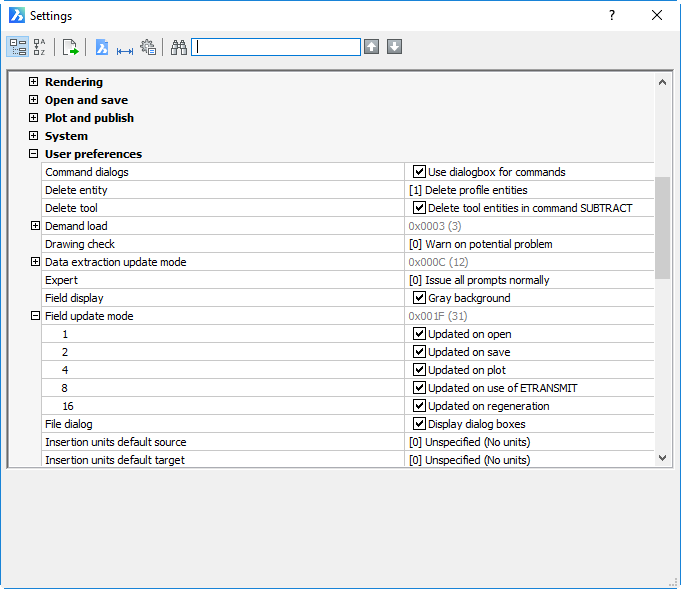 Going by the long list of Support Requests responsible for the new features, Bricsys has listened to all and one. If your are not on V18 yet, do you need more justification to get on to this version? Get in touch with us! DesignSense is the all-India distributor of BricsCAD and a technology solution company offering new generation CAD, BIM and VR experience. Want to know more about about our products? This post is a continuation of my previous post and the support request / AnyDesk interaction with Bricsys and our BricsCAD Platinum user. This customer from Mumbai uses both Solidworks & BricsCAD Platinum and was facing an unpredictable, intermittent problem that was causing BricsCAD to simply not start. In other words, it was an instant crash on start of BricsCAD. My first post on this problem was written when we had not yet zeroed in the solution, but now that we have, here is the addendum post, and the title says it all. The offender: NVIDIA Desktop Manager. Owen Wengerd and Eugen Vilcu of Bricsys Technical support went through several crash reports and identified the problem at the customer end. The culprit was NVIDIA Desktop Manager. The solution was simple. We just un-installed NVIDIA Desktop Manager from Control Panel and everything was back to normal. This user in particular is a SolidWorks user also and the NVIDIA desktop manager software was installed as part of the graphics card installation. Incidentally, uninstalling the NVIDIA Desktop Manager did not have any ill-effects on running either Solidworks or BricsCAD. A lot of hair has been pulled trying to resolve problems of this kind and I hope this post will help users to quickly identify and resolve these kinds of errors. So, the next time you encounter problems of this kind in BricsCAD, you know what to look out for. Architrend Architecture, Italy is a premium architectural studios based in Ragusa in Southern Italy. They have been using BricsCAD extensively in all their architectural projects. One of their prestigious projects, The Villa PM @ Ragusa (2010) has been show-cased by Bricsys as the marqee poster-boy project to illustrate the 2d and 3d design and visualization capabilities of BricsCAD. In this post, we take you through 12 videos created by Louis Verdonck from Bricsys (and one from Jason Bourhill, Bricsys NZ) that show you how you can build the same villa yourself from scratch, in less than 2 hours, using BricsCAD. Showing a 5-minute demo of a few commands and a bunch of pre-created images is one thing, but here is an un-hurried tutorial that takes you from patiently from start to finish of this stunning model. Many thanks to Louis Verdonck for making BricsCAD BIM simple and easy to use. It has been 13 days since Bricsys TV has been on air, showing you the latest in Bricsys technologies. Here is a compilation of some of the recent movies. DesignSense Software, Bangalore launched its official facebook page yesterday. If you don't like URLs, just search "DesignSense Software Bangalore" in your facebook and you should see us there. Our facebook page will bring you important information about our activities from time to time. Everyday, you will see posts related BricsCAD software as well as many other exciting developments that are happening around it. DesignSense is a software development organization with a very strong focus on developing our own apps built on the BricsCAD .dwg platform - for verticals as varied as ToolDesign, SheetMetal, AEC, BIM and more. DesignSense Bangalore is also India's # 1 distributor for Bricsys and Chapoo technologies. Stay connected to us using Facebook. This is the best way to receive important, never-heard-before information about us on a daily basis. With immediate effect, this channel will be the #1 feed in India for all important notifications concering BricsCAD software as well as happenings in the BricsCAD user-community in India. LayerStates are a useful convenience feature for the CAD drafter. The ability to create and restore them quickly is important. 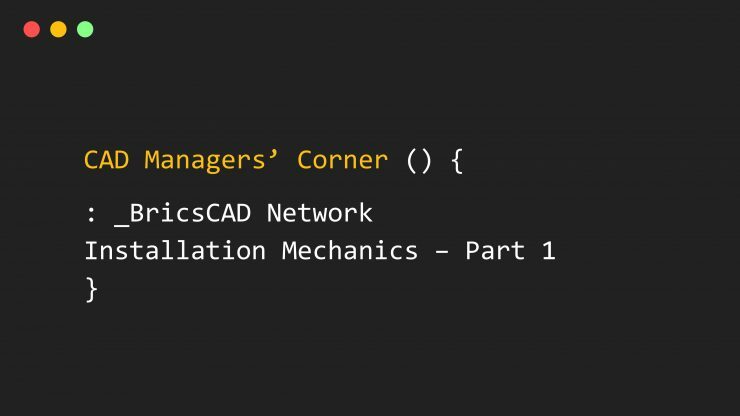 There are Lisp-based macros to create, retrieve or delete layer states, but here is one tip that will help you switch between layer states using the LayerStates combo control that is hidden by default in BricsCAD. Thanks to Hans de Backer for enlightening us with this tip on the Bricsys Forum. Key in CUI to open the customize dialog, and select the Toolbars tab. In the left column, select the Entity Properties toolbar and click on the '+' sign next to it to see its content. In the right column, scroll to the bottom and open the Controls section. Drag the LayerState combo control into the Entity Properties toolbar. You now can change to the desired layerstate by selecting it in your Entity Properties toolbar. In one of my previous posts, I showed how you can identify (and fix) and broken COM interface in BricsCAD. I am pleased to see that Bricsys (Torsten Moses) has made this job even more easier now by providing an auto-detect to this problem with a brief suggestion how you can fix it. I managed to break my COM interface today because of the several configurations, versions and 32/64 bit BricsCAD that I am constantly installing and un-installing. I wa not aware of the break-down until I started BricsCAD and was pleasantly surprised to see a nice dialog box (see below) explaining the problem was. In earlier versions, you would just get nasty, unexplained errors while using COM functions. Now, the problem and the solution are clearly communicated to the user. Great job!! I must ask Torsten if any of these instructions change in the 64-bit version of BricsCAD. 2013 .dwg Format Support in BricsCAD, Coming Soon!! The soon-to-come V 13.2.2 of BricsCAD is an important release for more than one reasons. While the native 64-bit installset is going to delight all users, the other important addition is support for the .dwg 2013 format. BricsCAD uses the Open Design Alliance (ODA) Teigha libraries to read and write .dwg files. The Teigha libraries are normally updated about 6 months from the release of a new .dwg format by Autodesk. It takes another 6 months for ODA members like Bricsys to integrate the same into their products. Nearly a year since AutoCAD 2013 has been released, BricsCAD will supports the .dwg 2013 format very soon. With BricsCAD V 13.2.2 onwards, you can have a bi-directional exchange of your .dwg files with AutoCAD 2013 and 2014 users without any problems. BricsCAD V13 - 64-bit Version, Coming Soon!! The 64-bit version of BricsCAD V13 (X64) is now in beta and will soon be available for the general public from BricsCAD V 13.2.2 onwards. The main advantage of a native 64-bit version will be the ability to open and mange large DWG files faster and more efficiently. The terms 32-bit and 64-bit refer to the way a computer's processor (also called a CPU) handles information. The 64-bit version of Windows handles large amounts of random access memory (RAM) more effectively than a 32-bit system. The current 32-bit (X86) version of BricsCAD runs under 64-bit Windows OSes. However, it is not capable of exploiting the benefits offered by a 64-bit OS. It now runs as a 32-bit application in a 64-bit OS. A 64-bit Windows OS is now default on all new laptops and even desktops. With native 64-bit support, BricsCAD V 13.2.2 onwards is able to access RAM and other resources offered by the 64-bit OS fully and more efficiently. On machines with a 64 bit operating system, both the x86 and x64 versions of BricsCAD can be installed, side by side. Though they install and behave as separate applications, it is not recommended to run 32 bit and 64 bit BricsCAD sessions simultaneously, because this may lead to ill behavior of the COM API. The BricsCAD installer switches to using .msi for the x64 installer. For the x86 installer the switch to .msi is deferred till V14. The product language name has been added to the name of the install folder, i.e. the default install folder now is C:\Program Files\Bricsys\BricsCAD V13 en_US\. Different languages can thus be installed side by side and they will behave as independent, unrelated applications. Please note that this is only true for the x64, msi based versions. For the x86 version this change is deferred until we switch it to .msi, that is with V14. The x64 version does not support VBA (the integrated Visual Basic for Applications), but it does support the COM API, which allows e.g. 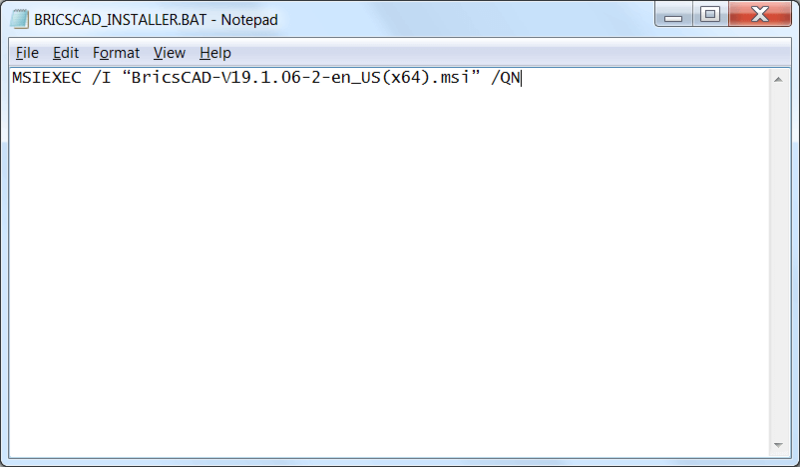 Visual Basic programs to run using BricsCAD x64. You will see significant improvements while open drawings that run into hundreds of megabytes, or while doing rendering operations that need multi-gigabytes of RAM. I foresee that in the future 32-bit Windows OS will become obsolete and 64-bit will soon be the de facto standard. The most difficult software bugs to fix are those that appear randomly and cannot be reproduced or predicted. While working with BricsCAD, I have experienced my fair share of unpredictable behavior which would often be difficult even for Bricsys support to pinpoint and fix. While interacting with Bricsys Lisp guru, Torsten Moses over a long TeamViewer session today, he pointed me to a small tip which made a big difference in solving the problem at hand. He asked me to install BricsCAD not by double-clicking the executable but by right-clicking and select the "Run as Administrator" option. I did that and installed BricsCAD even though I was logged in with full administrator rights. This small change seems to have made a big difference. The persistent layout switch bug that draPRO on BricsCAD was showing got fixed in an instant. No one knows how or why but it is apparently one of the best kept Microsoft secrets of what happens when you install an application as an administrator. I am writing this post to alert all software users, including BricsCAD, not to forget this trick when you run into unexplained problems. This could be one simple solution you failed to try. This is what Torsten had to say "Having BricsCAD installed by "Run as Administrator" seems to have added some (COM-related?) details, which never get uninstalled, and those ensured that BricsCAD runs properly. Sounds a bit strange, but I can confirm from my own and many clients' experience, that installing "Run as Administrator" makes a delicate difference ... thanks to Microsoft :-("
While on the subject of BricsCAD, Torsten warned me that the current version V 13.1.8 of BricsCAD current on the Bricsys web-site has a Lisp engine with a faulty garbage collection. You could run into a nasty bug using Lisp on V 13.1.8. The workaround is to use BricsCAD V 13.1.7 or patch your 13.1.8 installation with this fixed version of the Lisp engine (click here to download). You must copy this LispEx.dll file to the folder where you have installed BricsCAD and make sure you find the same file already existing there which must be over-written. If you are not using V 13.1.8 of BricsCAD, do not both about these instructions. "Every time I start up BricsCAD I am hit with the dialog box to switch my security to high to disable macro's. Then the next dialog box comes up to enable/disable macro's. Is there any way of getting rid of these dialogs without setting my security to high: which I don't want to do?" is a common support complaint from users. You get rid of the first dialog by selecting any of the security options in Tools -> Security... menu item. From hen on, the dialog won't appear. The second dialog depends on your selected option in the previous step. "Medium" displays the dialog, "Low" does not. Any program that has VBA built in, could be tried as a backdoor by virus programmers. BricsCAD has no special built-in protection system against virus-attacks: it is a CAD application, not a virus scanner... Hence it warns (just like Excel and other software) that if you enable macro's, there is this vulnerability. So what can one do not to get annoyed by these warnings, nor by viruses? 1. Install a good virus scanner on your system. 2. Switch the BricsCAD security to "low". 3. The vast majority of drawings that one receives from third parties are simple DWG files, without the corresponding VBI files. The only time you need to worry about malicious programs is when you receive a drawing that is accompanied by a VBI file: the VBI file contains VBA code, DWG files don't. If you don't trust the party you received the drawing from, you can discard or rename the VBI file so you can use the DWG file without fear for any infection whatsoever. With the heat and dust of the Bricsys conference settling down, and all partners back home, it is now time to start using BricsCAD V13 and all the accompanying add-on software that users are familiar with. The BricsCAD experience is not complete until you super-charge your software with some additional freebies and goodies. The good news is that all of them have been updated for BricsCAD V13 now. Version 13.10 of GeoTools & CADPower released today is the first version to be compatible with BricsCAD V13. If you have already installed and are using BricsCAD V13, please download the latest GeoTools 13.10 and CADPower 13.10 to ensure that you can continue to use our products under BricsCAD V13. (2) Windows 32 bits only. (4) Defining dynamic blocks is not possible yet. (5) View only. Edit under development. (7) View/edit only. Not create. Reproduced from the Bricsys web-site, here is a complete run-down of the BricsCAD V13 New Features. A sheet set is a collection of layouts from different drawing files. The Sheet Set manager lets you manage existing sheets sets and create new ones from scratch or based on a template sheet. Sheet sets can be published, printed and e‐transmitted. Current promotion: GeoTools V14 is only 99$ and CADPower is 39$. Here is a very basic CAD terminology tutorial. There is often confusion or misunderstanding concerning the DWG terminology of thickness, polyline width, pen width and lineweight. This is probably due to lack of information and poor naming convention. In this post, I am making an attempt to explain each term and clear the confusion. For starters, linewidth does not exist in the DWG world. Do not use it if you want to be politically correct in the CAD world!! There is no such property or command, it is unclear if someone saying linewidth refers to lineweight or polyline width or pen width. Polyline width: LWpolylines can be assigned a (constant) width. Like thickness, this is a geometrical property of the entity. If you scale the polyline, the width will scale accordingly. The width will always be visible in the display, it cannot be switched off like lineweight (see below). Old style and 3d polylines can have varying width, i.e. the width of an edge can increase or decrease from vertex to vertex. If a polyline has a width >0, the pen width is not applied when plotting, instead the polyline width will be used. Pen width is used only in print preview and print. Entities that have no intrinsic width (width = 0) and polylines with width = 0, get a width in the plot controlled by their color. In AutoCAD entities can get styles independent of their color, but this does not exist in Bricscad. Lineweight is an AutoCAD display property. It can be assigned to individual entities or to an entire layer. The system variable LWDISPLAY controls if lines are displayed with or without taking the lineweight property into account. On the display, it's not always easy to distinguish lineweight from polyline width. Switching LWDISPLAY off makes it clear. Optionally, the lineweight property can be used to control pen widths in the plot. How can I control the visibility of entities contained in block inserts? Although this is a simple question for any experienced CAD user, it is nevertheless a concept that new CAD users have to understand and assimilate well before they can use CAD productively and control the DWG presentation the way they want it. Before we go ahead and write about the solution, here is some more description of the question itself. We talk of visibility of entities here, more in the context of block inserts, rather than stand-alone DWG entities. Visibility control of stand-alone entities by freezing or thawing layers behaves straightforward: no entities that are located on frozen layers will display. If the layer on which a block was inserted becomes frozen, then ALL content of that block will no longer be visible, regardless of the layer on which entities were located at creation time of the block. If a block is inserted on a thawed layer, but contains content placed on a layer that becomes frozen, then only such content will no longer be visible. The On/Off setting behaves different from the Thawed/Frozen setting, specifically concerning the behavior for block content placed on layer 0. Entities that were on layer 0 at creation time of the block will obey the On/Off setting of the layer on which the block is inserted, so these elements will behave as is they were placed on the layer on which the block is inserted. Entities that were not on layer 0 at creation time of a block, will obey the layer on/off setting in a normal way. A block is made with entities from layers 0, 1 and 2. The block is inserted on layer 1. - when we switch off layer 0: the block content that at block creation time was on layer 0, will remain visible because it now acts as if it were on layer 1! as well as the block content that initially was on layer 1. - when we switch off layer 2: only the block content that at creation time was on layer 2 becomes invisible. - COLOR : The way the color of entities is controlled is related to this behavior: Entities that at block creation time were on layer 0 and had color property 'BYLAYER' will obey the color property of the layer on which the block is inserted. An entity's color determines how it is displayed and, if you are using a color printer, how it prints. Entities are created in the current color. There are 255 regular colors and two additional color properties that are often referred to as colors. The two additional color properties are BYLAYER and BYBLOCK. These color properties cause an entity to adopt the color either of the layer or of the block into which it is inserted. BYLAYER is color number 256, and BYBLOCK is color number 0. In all commands where you would use a color, you can indicate BYLAYER and BYBLOCK as well as by numbers 256 and 0, respectively. To draw all entities in the default color set for the current layer, choose BYLAYER. To draw entities in the default color (white or black, depending on your system settings) until they are grouped into a block, choose BYBLOCK. After you insert the block into a drawing, it assumes the currently selected color for new entities. If you insert a block that contains entities originally drawn on layer 0 and assigned color and linetype BYLAYER, it is placed on the current layer and assumes the color and linetype of that layer. If you insert a block that contains entities originally drawn on other layers or with explicitly specified colors or linetypes, the block retains the original settings. If you insert a block that contains entities originally assigned color and linetype BYBLOCK, and the block itself has the color and linetype BYLAYER, those entities adopt the color and linetype of the layer onto which they are inserted. If the block is assigned an explicit color or linetype, such as red or dashed, those entities adopt those qualities. If a block contains a mixture of colors, inserting blocks when the color is set to BYBLOCK can produce unpredictable results. Does Bricscad have support for batch plotting? Bricscad does not include a batch plot utility as such. However a sample VBA project can be found in the ...\API\vba folder of the Bricscad installation folder like C:\Program Files\Bricsys\Bricscad V13\API\VBA\batch_plot_tool.dvb) . Watch this movie to learn more about how to do batch plot in Bricscad. Note: The Batch Plot utility is a VBA sample code available in Bricscad Pro only. Bricscad Troubleshooting Tip : How to enable VBA / ACIS Editing in your Bricscad? VBA and/or ACIS Editing not installed : How to fix this? During installation of Bricscad, if you choose the Custom install option, the setup program shows a dialog box where additional, optional components can be selected (see below). In the screen above (which is from a trial install), you can see that the VBA option is not available. This is because only a valid Pro or Platinum license permits the use of VBA. In Bricscad trial or Classic version, the VBA option is disabled and un-available. If you have subsequently upgraded to a Pro or Platinum version and updated the license key, VBA is still not activated because the initial, underlying version did not have VBA enabled (see below). As seen in the above message, this is because a Pro license was added to an existing Classic / trial installation. To fix this, you must start the Bricscad installation again and modify the setup. You can do this by running the downloaded Bricscad EXE or from the Windows Control Panel, and choose the Modify install option. When you do that, you can now see that the VBA option has appeared but is un-selected. You must select (check) this option and complete the installation for VBA to be enabled in your Bricscad Pro or Platinum. In order to install the Pro components (ACIS Editing and VBA), enter your Pro license key when installing Bricscad Pro. If Bricscad Pro is already installed without these components, you don't need to reinstall but you can modify the existing installation. 1. Enter your Pro license key in Bricscad (Help > License... > Licensing Information > Modify...) before modifying your existing installation. In Windows Start menu > Settings > Control Panel >Add/Remove programs. Select the Bricscad entry in the list and press the Change/Remove button. 3. The Bricscad setup starts. In the dialog showing the 3 options Modify / Repair / Remove. 4. Select the Modify option. 5. This opens the Select components dialog. Here you can select the components you want to install or uninstall. 6. Select Acis Editing and VBA. Leave other entries unchanged (unchecking a currently installed component will uninstall it!). Last week, we made Bricscad presentations in Mumbai and Pune. We visited about a dozen engineering and petro-chemical companies and showed them Bricscad, GeoTools and CADPower. We also visited some of our existing users in the region and received some valuable feedback from them. While the overall acceptance of Bricscad has been very encouraging and phenomenal, some of the pending issues in Bricscad drafting remain to be pain-points even after many months of reporting. We want to assure our customers - existing and prospective that we are constantly applying pressure on Bricsys to get this sorted out. We hope to see some of these issues fixed in V13. A Ctrl-C selection of cells from Excel must be pasted as a TABLE object in Bricscad, not as an OLE object. A native FILTER and TORIENT command (already available in our CADPower). Make the QSELECT command accessible on command line. Support for MPOLYGON (from AutoCAD Map) objects in Bricscad. Retain AutoCAD Map Object data when doing an WBLOCK export from Bricscad (workaround available in GeoTools). Native CONVERTPOLY command in Bricscad (already available in CADPower as freeware). Native support for MLINE and MLEDIT (available using BcadTools). Match properties command - does not work between objects from one drawing to another. Damian Harkin (Bricsys Australia) and Jason Bourhill (Bricsys New Zealand) made a nice presentation of Bricscad at the recently concluded www.12D.com user conference in Brisbane, Australia. The presentation highlights the key features of Bricscad and show-cases use of Bricscad by Optus Telecom and their contractors. Also shown in the presentation is the NetCAD application that was developed by Damian for Optus Telecom. We are pleased to state that Coordinate Systems has been involved as well with providing GeoTools, CADPower and high-end customization services for Optus Telecom and their network on survey contractors. If you are an existing Bricscad Classic or Pro V12 licensed user, the Bricscad Platinum menu is visible on your user-interface but is grayed out. This post explains how you can test the Platinum features, while you are already licensed for Classic or Pro. The simple answer is that you need a special Platinum license key to test the features of Bricscad Platinum. Bricsys will send you a Platinum license key. This key enables you to try the Platinum features for a limited time period (30 days). 1. Start Bricscad version 12.1 or higher. Window Vista and 7 users: you have to run Bricscad as administrator (Right-click - Run as administrator). 2. In the "Help" menu, select the "License..." option. The "Licensing Information" dialog opens. 3. Click the "Modify..." button. 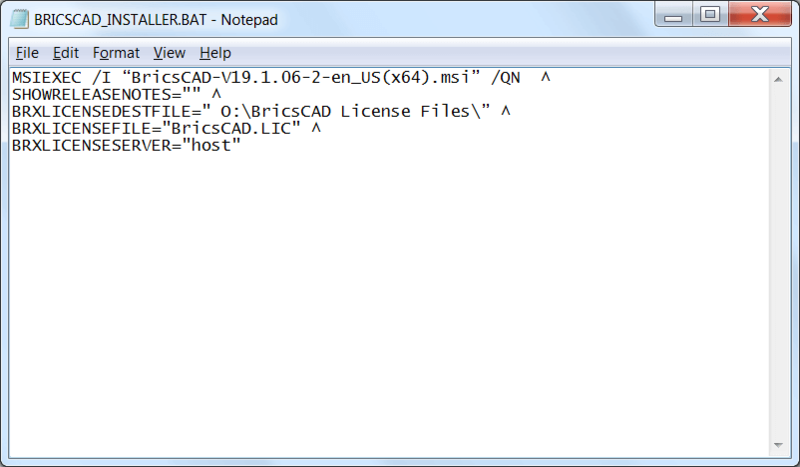 The "Enter License Key for Bricscad" dialog opens. 4. In the "Key" field, enter the license key and click the "OK" button. 5. Close the "Licensing Information" dialog and re-start Bricscad. You can now try the Platinum features. However, please be aware that Bricscad is now running in a 30-day demo mode. There is no VBA available in demo mode due to licensing regulations, even though you may be a Bricscad Pro user. Once the Platinum key expires, we hope that you will be convinced to go the Platinum way. However, if you are not ready yet, you have to re-enter your Classic or Pro license key and go back to your original configuration. To re-enter the key, repeat steps 1 to 5 above. Customers using an older Bricscad version can at any time install Bricscad V12 in trial mode. In this mode, Bricscad runs as a Platinum version (without VBA). We are often asked by prospective users whether specific file formats are supported in Bricscad or not. To any existing Bricscad user, it is a trivial question, but for a first time evaluation user, it is an important piece of information to make a purchase decision. This post, written on July 24, 2012, helps to answer it for them. Please remember that new formats may get added in future. DWG: The .dwg format: Needless to say, Bricscad supports the .dwg format which is its native vector format in which drawings are produced, saved and retrieved. You also get to save in several older versions of DWG/DXF suitable for import in older versions of CAD software. The .dwg 2013 format is not support yet, as you can see. We hope to see that on the list in the next couple of quarters? What are the other file formats that Bricscad can work with and which ones cannot? In this post, we examine the complete list of all such formats. DWT: Drawing Template: From the File->Open menu, you can open a DWT file directly which is nothing but a renamed-DWG file which serves as a drawing template. You name a DWG file as DWT to be recognized as a drawing template. It contains all your layer, color, sysvar settings that you want to appear automatically each time you start a new drawing in Bricscad. You can also save a DWT file using the SaveAs... command. DXF : The Drawing Exchange Format: The DXF is the de facto ASCII standard for drawing exchange between CAD systems. You can open a DXF file also from the File->Open menu. You can also save a DXF file using the SaveAs... command. Here, you also get to save in several older versions of DXF suitable for import into older versions of CAD software (see image above). Microstation DGN format: The DGN is an open, documented format like DXF and is native to Mircstation and other Bentley products. Unfortunately, it is not yet possible to import/export the DGN format in Bricscad yet. ESRI SHP format: The ESRI Shape files (SHP) is another open, documented format from ESRI and used extensively in the geo-spatial industry. Unfortunately, it is not yet possible to import/export the SHP format in Bricscad yet. The good news is that you do it using a third party add-on called MapWorks for Bricscad from DotSoft. SAT file format: ACIS sat files can be imported/exported via ACISIN and ACISOUT commands. The IGS, STL and SLDPRT (SolidWorks parts file) file formats are not supported. PDF & RASTER files (also known as BITMAP or IMAGE files): Strictly speaking you cannot import a PDF or RASTER image into a DWG. The DWG format is a vector format and a pdf/raster can only be attached to it in the background and will never be part of the drawing. Bricscad does however enable you to attach a wide variety of raster files and pdf as a background (underlays). This is achieved via the IMAGE command from from the drawing explorer (the EXPLORER command). PDF files are attached using the PDFUNDERLAY command or using the drawing explorer. A special mention about the last two of them (.ECW and .SID) : The .SID format from LizardTech's MrSID is one of the most efficient geospatial imagery, so is .ECW format from EarthMapper. It is good to see them supported in Bricscad, which is a first for a CAD platform in the under $500 price category. When you want to export data from Bricscad, you have a bunch of export options as shown in the image above. You can export into common raster graphics formats like .BMP, .JPG, .WMF etc as well as popular exchange formats like PDF, vector formats like .SVG (Scalable Vector Graphics) and .DWF (drawing web format). In addition, you can save screen views to a .dwg-native raster view-only format called SLD (slide files). If you use a virtual printer like PDFCreator, PDF995, CutePDF, you can produce (large scale) PDF output. Finally many 'external' programs allow you to save a screen copy into various formats that they support. If you have questions on any other formats not shown here, do let me know. This post has been reproduced with permission on http://blog.bricsys.com also. Where Does Bricscad Store its Program Settings and User-Specific Data? 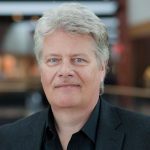 Every software program has a number of operating parameters, program data and user-specific settings that it needs to store somewhere reliably and retrieve again during subsequent runs. Since data to be stored fall under different realms, the locations where they are stored also differ and it can be quite a daunting task to try and figure out where exactly each piece of program data is located. In this post, I will explain where Bricscad stores all of its operating parameters and how you can look them up from within as well as outside of Bricscad. This can help you in troubleshooting when you find something not happening as expected, and comes in handy for CAD Managers who want to streamline their Bricscad setup in a multi-user office environment. 1. First, let us start with the .dwg file. Information that is stored in the DWG includes those that mainly affect the drawing environment only and not depending on extenal data or resources. All of these are stored as System Variables or Preference Variables in Bricscad. 2. The second place where Bricscad stores its data is the Windows Registry. In the Windows registry, the settings are stored in HKEY_CURRENT_USER\Software\Bricsys\Bricscad\V12\en_US\. This means that all settings are stored on a per-logged-in-user basis, and the contents of this section change with each logged in user. Accordingly, the data stored here also relates to what each user may have set for themselves within Bricscad. For example, the add-on applications the user works with, the Bricscad profiles they use, the list of recently opened files and so on. It is interesting to note that Bricscad does not store anything in the HKEY_LOCAL_MACHINE registry hive. These are folders specified by Windows and at this point, it is prudent to pause and learn a little in detail about how Windows organizes and manages these files / folders. All Windows-compliant software must store their operating data in specific, designated folders. For example, in Windows Vista and 7, this folder is called C:/Users... and in Windows XP, this is called C:/Documents And Settings... You will still see the C:/Documents And Settings... folder name in Windows Vista/7 but don't be confused. It is just a virtual folder, an alias for the C:/Users... folder and internally points to C:/Users... folder itself. In the C:/Users.... folder, you will find Bricscad data in two locations. As you can see, in my case, the drawing templates have been saved in the Local folder while PlotConfigs, PlotStyles, Support (menu files like mnu/cuix, hatch pattern files .pat, linetype files .lin, tool palettes etc) are all stored in the Roaming folder. When Bricscad is installed for the first time, all of this data is copied to the <install_folder>/UserDataCache/ folder and from there, a copy of the same is made in the Local and Roaming folders under the logged-in user name in the C:/Users folder. This is in line with the standard Windows protocol for compliant software which requires that any file that will be edited upon and updated will go the C:/Users folder where all write/modify permissions exist for the user. All .dwg CAD users know what system variables are. They are accessed using the SETVAR command and if you type SETVAR ?, you can see a long listing of these variables scroll by on your screen. But, did you notice that, in Bricscad, you see another listing of slightly different looking variables at the end of the SETVAR ? dump. Try it today and discover something new!! The initial scroll is full of variable names alphabetically arranged and all of them are in uppercase. The last section is a list of variables that is in MixedCase. These are called Preference Variables and they are unique and specific to Bricscad only. I did a listing of all Bricscad variables starting with A and B (using wildbard [ab]*) and this is what I got. Variable name or ? <ddFastMode>: ? As you can see, the colored variables above in MixedCase are Preference Variables and Bricscad-only. The rest of standard system variables you can expect to find in other .dwg CAD software also. The good thing about the Preference variables is that they add a great deal of power to the user and programmer wanting to control Bricscad. You can access and change them using SETVAR command. You can also access them in Lisp via the (getvar....) function. The bad thing about them is that they are poorly documented. The only place where I could get some description about them was in Bricscad Release notes and by asking Bricsys support / forum users. You can also find some description of system variables and preference variables in Ralph Garbowski's e-Book (Bricscad V12 for AutoCAD Users ebook) , which you can download from here. If you want some related reading, here is a good post by Jason Bourhill. 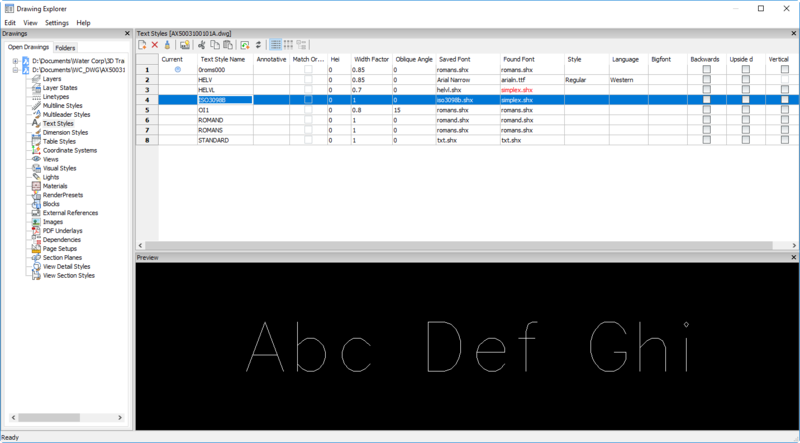 He shows a way to export the settings variables into a CSV file and also get some meaningful description of the Bricscad and general system variables. If you need to do anything with license management on Bricscad in Windows Vista and higher, the first rule is that you need to have Administrator Rights. Sometimes, even that may not be enough. In this blog post, I reproduce support information from a Bricsys knowledge-base article which explains more about it. - "Failed to add license key (error 25)" (or error 27). - "Error creating registry key (need administrator rights for this operation)." - "Error opening registry key." - "Error setting registry key value (need administrator rights for this operation)." On Windows Vista or higher, access rights are more restricted. Even if you are logged in as administrator, it appears that the application has not enough rights to write in the registry under HKEY_CLASSES_ROOT. Log in as a user with administrator rights, and launch the application by right-clicking the shortcut, and choosing "Run as administrator". To avoid having to choose "Run as administrator", you can turn off "User account control". See Control Panel > User accounts and family safety > User accounts > Turn User Account Control On or Off. User profiles are used both in AutoCAD and Bricscad to setup a customized drawing environment. In AutoCAD, the user profiles are accessible and controlled using the OPTIONS command and selecting the Profiles tab. In Bricscad, unlike AutoCAD, you cannot do this using the SETTINGS or OPTIONS. You must start the User Profile Manager which is a standalone tool that lists the existing profiles and provides all the needed operations on user profiles, such as Load, Create, Set Current, Copy, Rename, Delete, Export and Import.